Westport is a charming town located in County Mayo on the Atlantic Ocean in the south-east corner of Clew Bay on the west coast of Ireland. 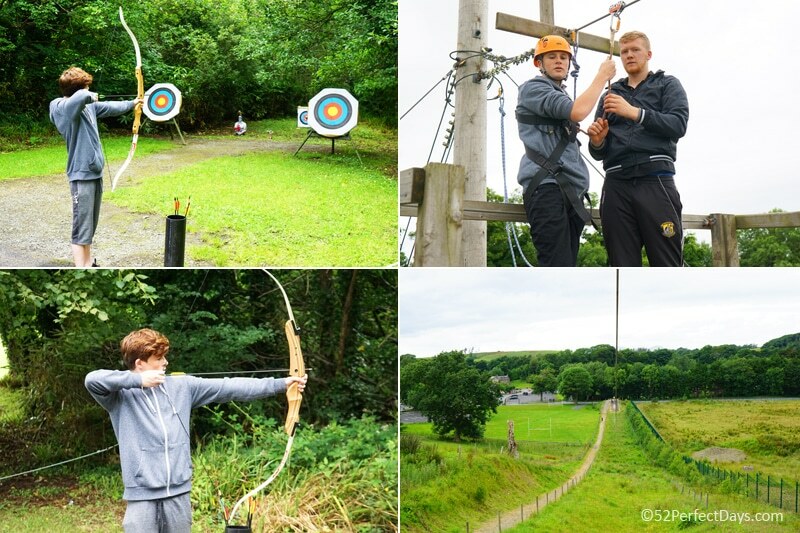 Wesport was my second stop on a wonderful two-week road trip in Ireland with my son. 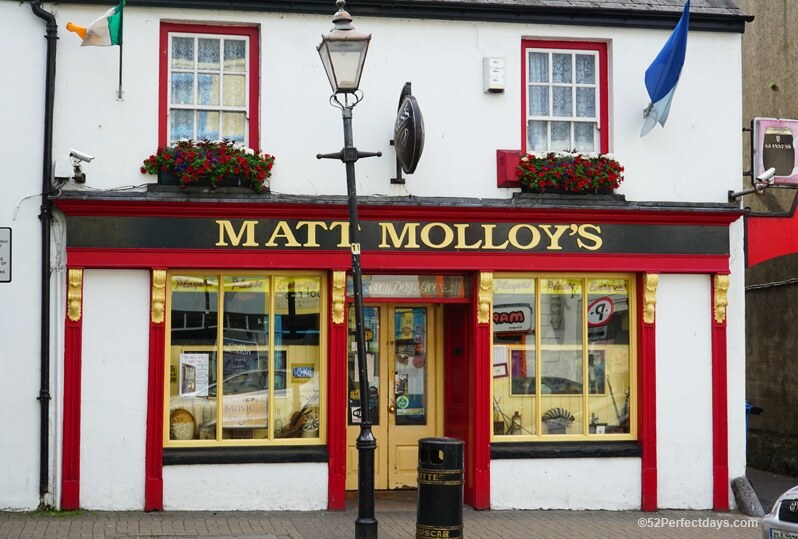 We loved our visit because there is just so much to do in Westport, Ireland. We began our Ireland adventure in Dublin and after a few days exploring the capital and largest city of Ireland, we drove to Westport. It’s an easy and beautiful three-hour drive from Dublin to Westport. For a small country, there are endless small towns, castles and wondrous sites to visit. 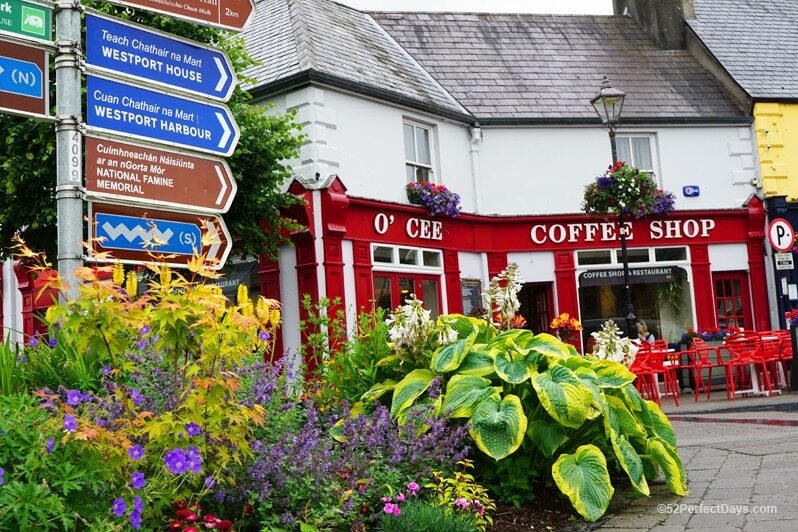 Westport is a quaint seaside town that is a must for any Ireland itineary and extremely worthy of a visit. 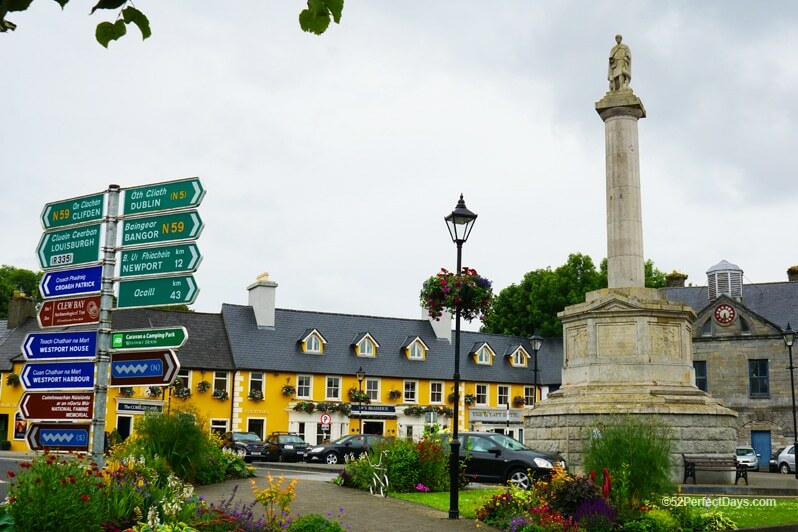 In 1767 Westport became the first planned town in Ireland. It was one of my favorite towns we visited. If you are wondering what to do in Westport, Ireland, I’ve got you covered! Westport House is a combination of a heritage home museum, amusement park, camp ground, and train ride rolled into one. 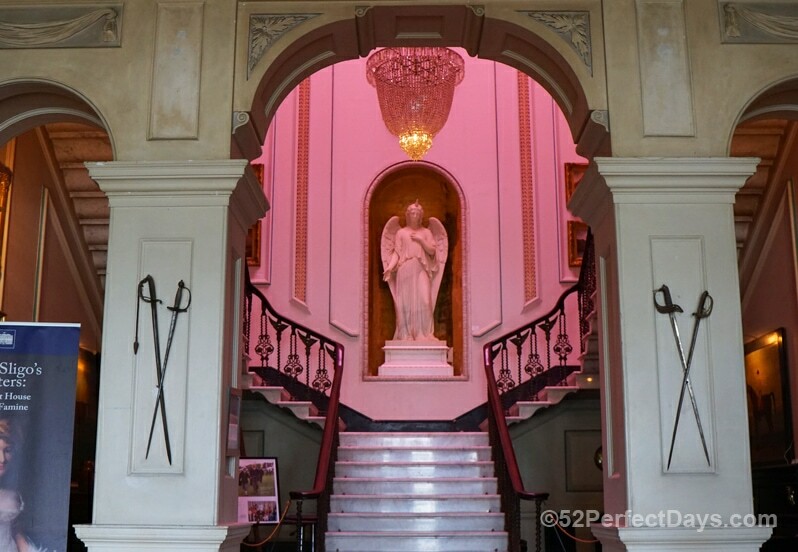 The most important aspect of the property is the 18th Century Westport House, which is privately owned and operated by Jeremy Browne (The 11th Marquess of Sligo) and his family, who are direct descendants of Grace O’ Malley, the famous 16th Century Pirate Queen of Connaught. 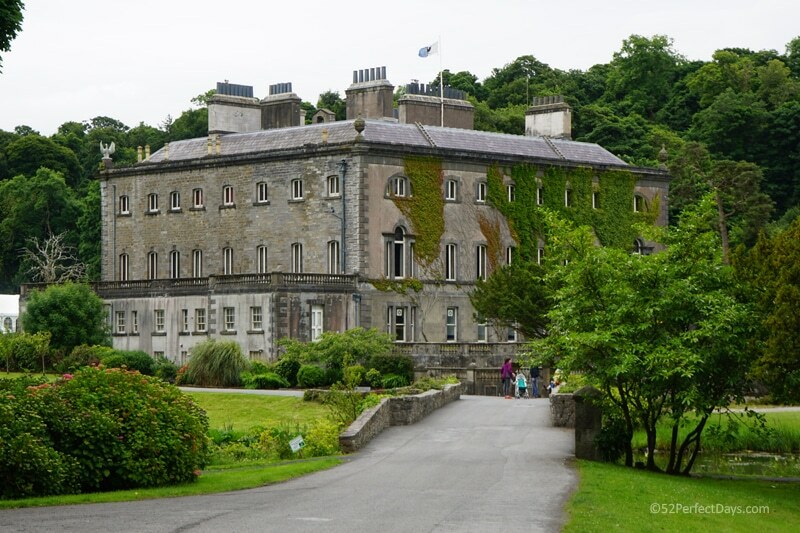 The first thing we did when we arrived in Westport was head to the Westport House for a tour of the home. Then we jumped on the choo-choo train for a tour of town & the house grounds. 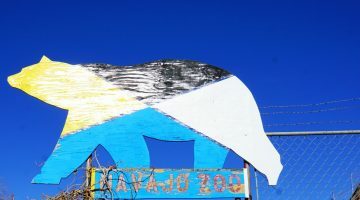 We headed to the pirate adventure park where my son zip lined, had an archery lesson and went on a lot of fun rides including a log ride and Ferris wheel. There are fields of sheep, rides for smaller kids and a great restaurant; Gracy’s, owned by Alannah Browne, youngest daughter of Lord and Lady Altamont. Gracy’s is named after Grace O’Malley, the Pirate Queen, who is Alannah’s 14th Great Grandmother in direct descendant. 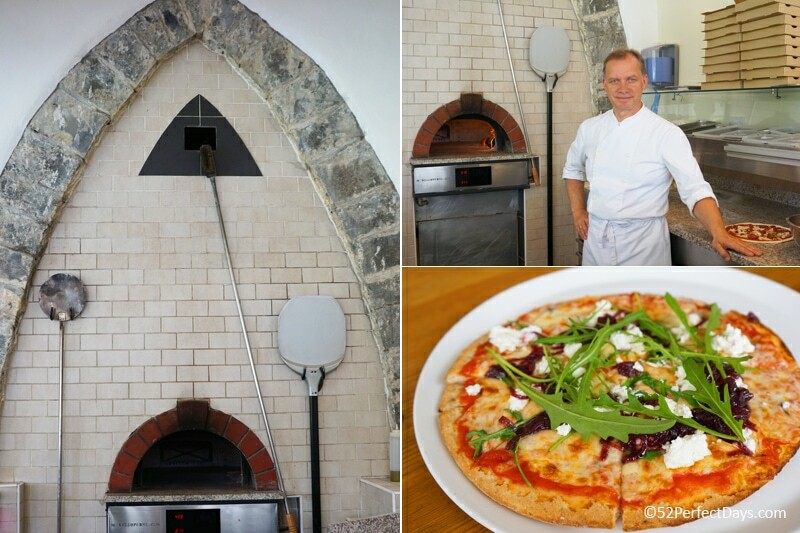 They are known for their delicious pizza (gluten free as well) and cakes. When visiting Westport House, plan for a full day to truly enjoy everything the property has to offer! One of Ireland’s finest Championship Golf Courses is just 5 minutes from the town center. 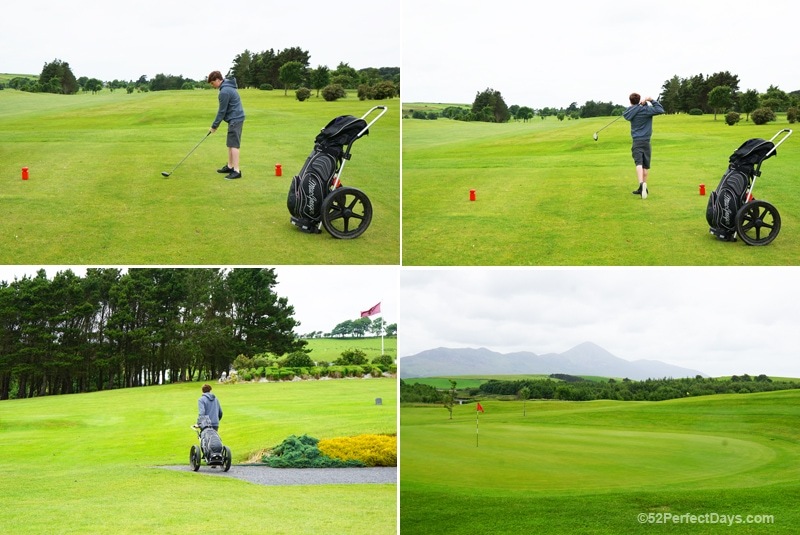 During our visit to Westport, my son had a chance to play the course at Westport Golf Club, designed by renowned international golf course architects Fred Hawtree and Sons. When we planned this trip to Ireland, playing golf was on the top of his list of things to do. The location is just stunning; on Clew Bay and looking out at Croagh Patrick (a mountain and an important pilgrimage site). 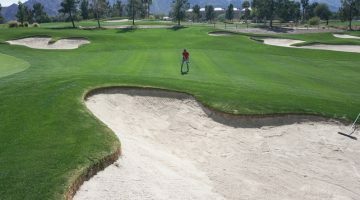 The course can be challenging with its long holes, elevated greens, strategically placed bunkers, and holes that climb tall hills. If you a golfer, this is a must! 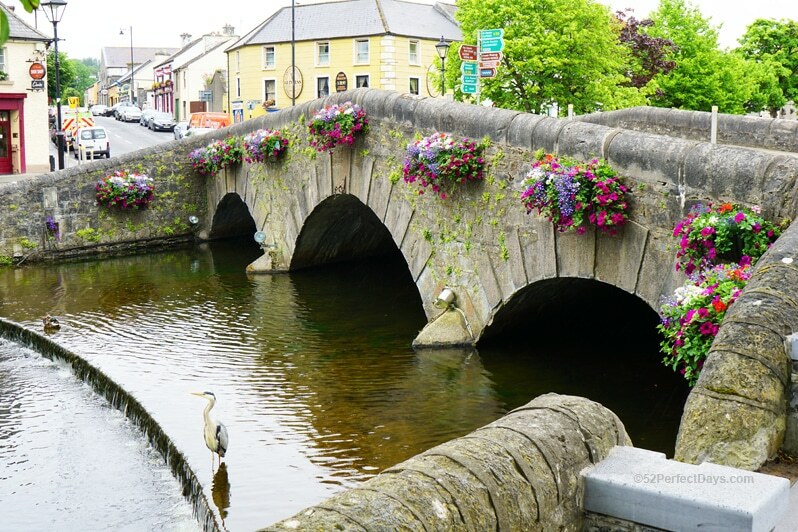 In the Georgian town center of Westport you’ll find stone bridges, tree-lined promenades on the banks of the Carrowbeg River. You’ll also find Rockfleet Castle and Burrishoole Abbey, that have ties to the 16th-century pirate queen, Grace O’ Malley. The town is walkable and filled with shops, pubs, bakeries, restaurants and lots of gorgeous flower beds. Craic? There is no literal translation to American English, but what I have been able to gather is it means to have fun (in many ways). It also means to gather and play music. 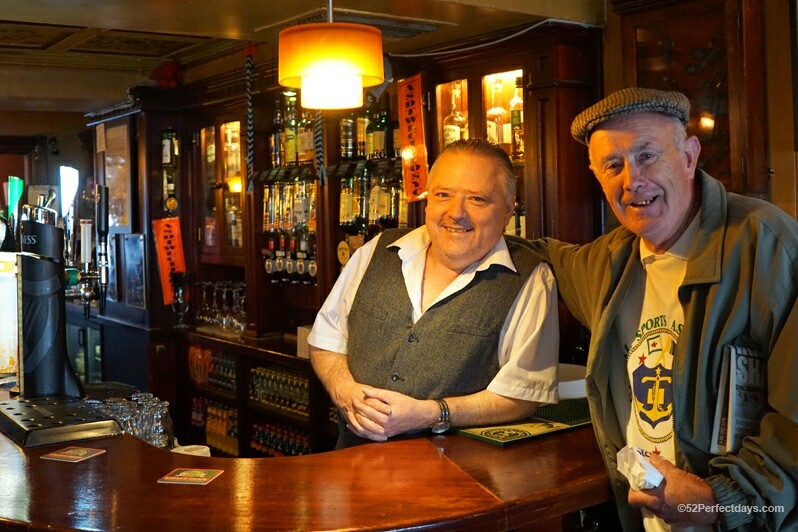 You can’t visit Westport without time in one of the pubs, getting to know a few locals, enjoying a pint of Guinness and hearing some traditional Irish music! 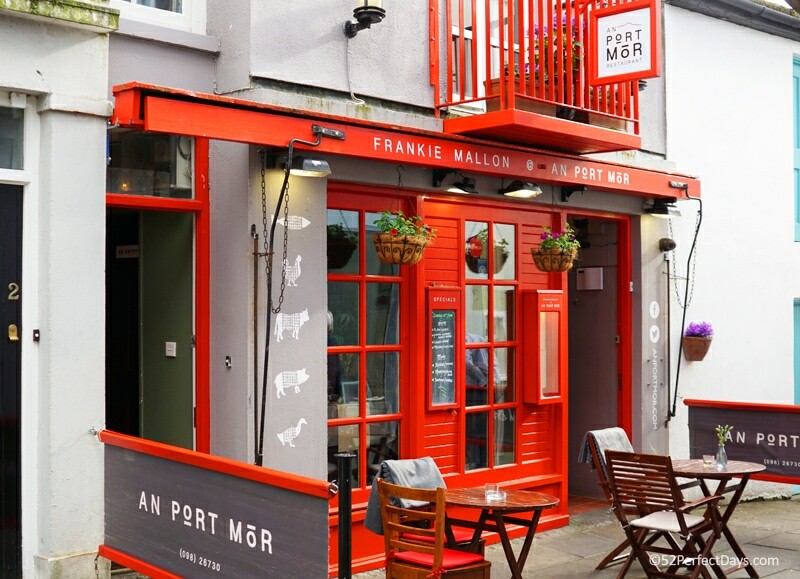 An Port Mór, is an award winning restaurant from chef Frankie Mallon. The food is inspired by local produce and is rustic and quirky. Chef Mallon loves big, gutsy flavors and his forte is seafood. Another of the chef’s gifts is creating beautifully plated food that is absolutely delicious. The restaurant is a bit hidden, up an alley called Brewery Place which is directly opposite Matt Molloys pub on Bridge Street. This isn’t just a hike, this is a pilgrimage for many. 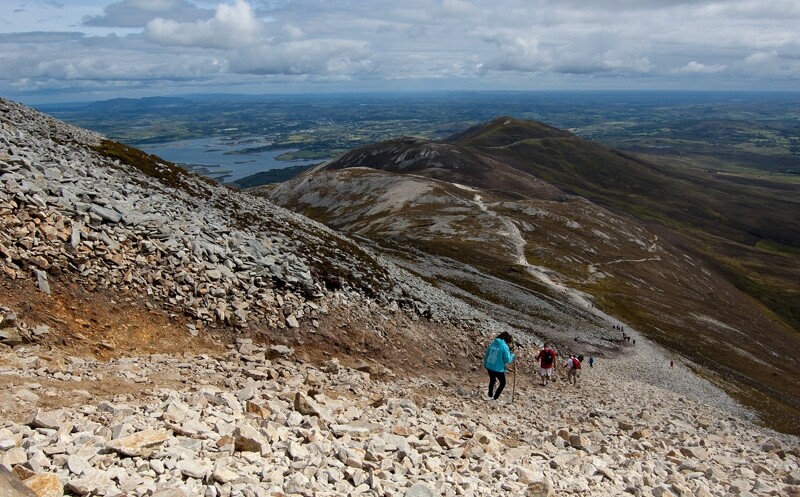 Croagh Patrick is considered to be Ireland’s holiest mountain, and renowned for its Patrician Pilgrimage in honor of Saint Patrick, Ireland’s patron Saint. It was at the summit of the mountain that Saint Patrick fasted for forty days in 441 AD. The summit of this hike also offers tremendous panoramic views of the County Mayo landscape. The hike is just under half a mile and on average takes about 2 hours to climb up and one and a half hours to descend. Another fun thing to do in Westport, Ireland is sea kayaking in Clew Bay. 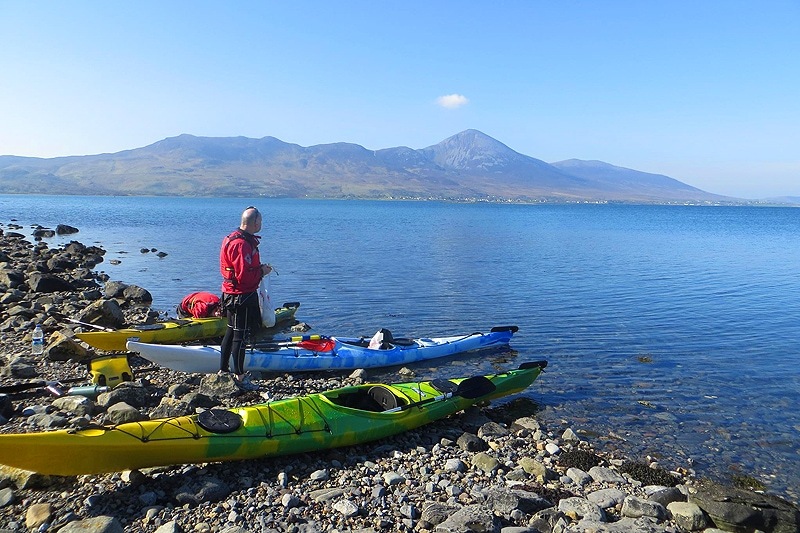 Paddling among the 365 islands of Clew Bay, with the breath taking back drop of Croagh Patrick is an experience you must have if you love to kayak. There isn’t a more peaceful way to spend a few hours in Westport. You can rent a kayak at Clew Bay Bike Hire. There are hundreds of miles of back roads and trails in and near Westport. You can bike through mountains, woods and some spectacular coastline. 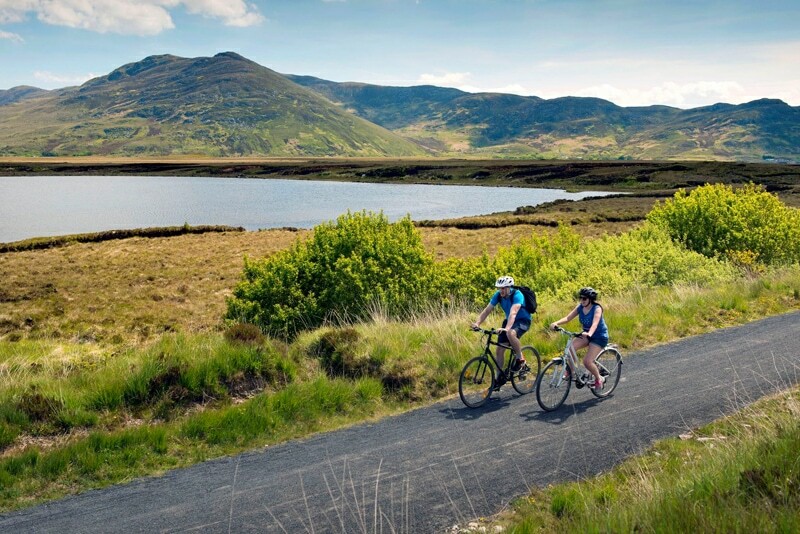 The Great Western Greenway runs from Westport to Achill. If you are up for a good ride, you can make it to Achill in 5 hours from Wesport, with a stop for lunch in Mulranny. The Greenway is mainly flat, so it’s an easy ride that allows you to enjoy the beautiful scenery. You can rent bikes at Clew Bay Bike Hire. 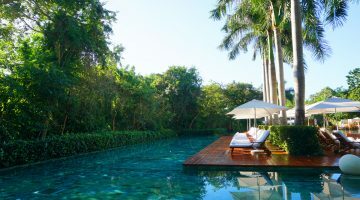 The weather is warmest in the summertime (which can still be chilly), but this is also the most expensive time and when accommodations are in most demand. I think the best months to visit are April to June and September to November. 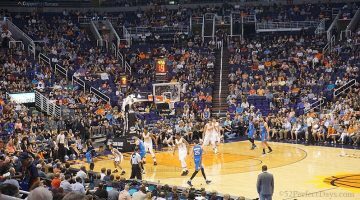 Airfares and accommodations cost less at this time than during the peak summer season, and the crowds are sparser as well. When you travel to Ireland in the spring and fall, it’s bound to rain. Typically, rain won’t last long and sun is just around the corner. 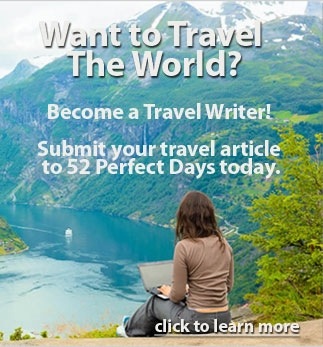 If you enjoyed this article about the Top Things to Do in Westport, Ireland, you’ll also love 52 Things to do in Ireland. How to get there: Westport is a 3-hour drive from Dublin. 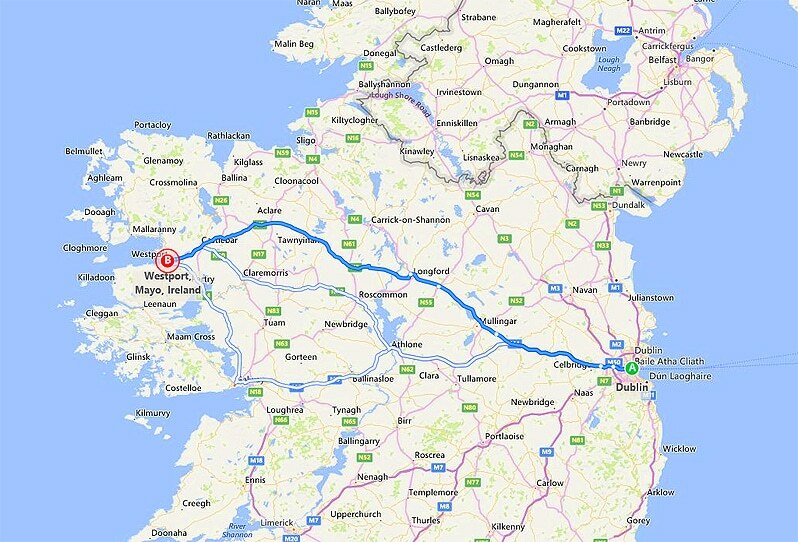 You can also take the train or a bus from Dublin or from most anywhere else in Ireland. During my visit, we flew into Dublin on WOW Air and rented a car with Irish Car Rentals. Where to stay: Westport is a great base for visiting the West Coast of Ireland. I recommend the Westport Coast Hotel if you’d like to be near the Clew Bay and Westport Plaza Hotel if you’d prefer to be in the city center. Both hotels include a wonderful breakfast. I suggest checking HotelsCombined for the best Westport hotel rates. Click here to check TripAdvisor for Westport hotel reviews. 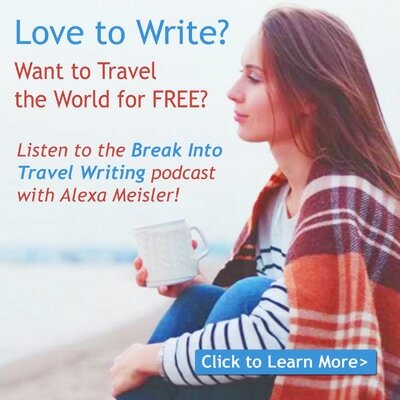 Travel insurance: I’m a fan of World Nomads for short-term trips. Protect yourself from possible injury & theft abroad. 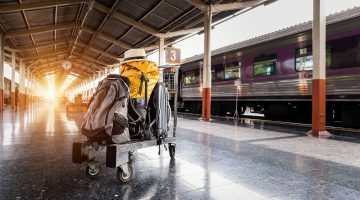 Read more about why you should always carry travel insurance here. What to pack: The temperatures each season vary greatly, but even in summer it can be cold. I visited in June and was very happy to have a light down jacket, warm socks (I love Ice Breaker), a waterproof outer layer and rain jacket, and some hiking boots (I love Keen). If you are visiting in Winter, you’ll want to bring heavy duty layers. Get the Lonely Planet guide to Ireland . Get a good quality mirrorless camera for capturing your trip. I use the Sony Alpha a6000 . The Gerber Dime multi-tool . It’s just like your favorite Swiss Army knife, but the lack of blade makes it TSA-friendly. Waterproof hiking boots . I love Keen because they are lightweight and super comfortable. Best Things To Do in Westport, Ireland? Those are some of my favorite things to do in Westport, Ireland. If you go or if you’ve been, please let me know in the comments some of your favorite things to do in Westport. 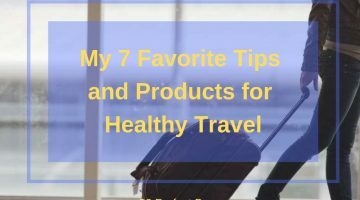 Don’t hesitate to comment with any questions if you’re planning a trip there. While we were invited guests of several of the above locations, this is a totally independent and honest review based on my experience.